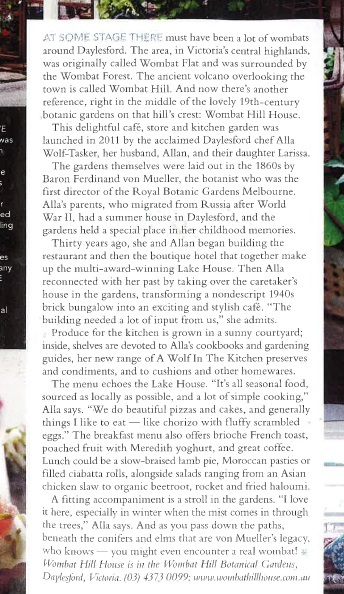 “Chef Alla Wolf-Tasker has a childhood connection to this cafe in Wombat Country”. Wombat Hill House has once again received 3 stars in The Age Good Food Under $30 Guide. Come, say hello and find out why!